John Watson graduated with a Classics M.A. from Cambridge University in England. 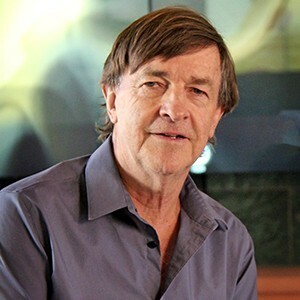 In his early career in Toronto, he teamed with Pen Densham to write, produce, direct, and edit more than a hundred films over a 10-year period—shorts, documentaries, educational films, television dramas and specials—garnering over 70 international awards, including two Oscar nominations. Moving to Los Angeles, he founded Trilogy Entertainment Group and has since produced 12 feature films, including Robin Hood: Prince of Thieves (which he also co-wrote), Backdraft, Blown Away, The Dangerous Lives of Altar Boys and Just Buried. Watson has executive-produced over 300 hours of television for both network and cable, including seven seasons of The Outer Limits. He developed the CBS series The Magnificent Seven, being the sole showrunner for two seasons, and co-created the TNT series Breaking News. Watson has completed screenplay adaptations of Tom Wolfe's novel I Am Charlotte Simmons and Richard Condon's novel An Infinity Of Mirrors. He holds the Broccoli Endowed Chair for Producing.